Activision and Treyarch have begun today’s reveal event for Call of Duty: Black Ops 4, and they’re going in-depth on what to expect from the upcoming game. Treyarch say this one follows up a history of breaking with convention and taking risk, and they’ve detailed some of what those big changes mean. One of the biggest changes is the loss of automatic healing – instead, you’ve now got to trigger your own healing with a dedicated button. There’s also now a Fog of War system, limiting what you’re able to see on the minimap. You’ll see specialists like Ruin making a return with a grappling hook for increased movement options, but Treyarch say that they’re staying grounded in Black Ops 4. No jet packs or wallrunning, so it’s all the “boots on the ground” experience fans have enjoyed in the past. 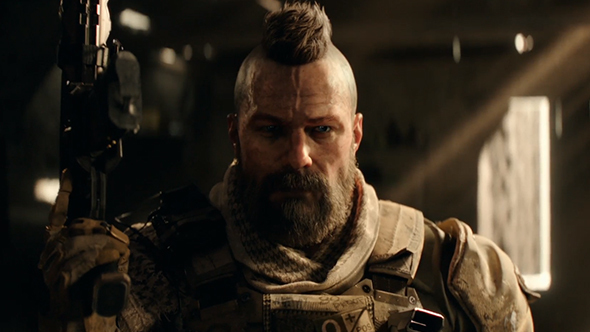 Treyarch say that they plan to deliver a narrative experience through their multiplayer gameplay, and so far there’s been no word of any campaign action – so those rumours about a lack of single-player seem to be panning out. Call of Duty: Black Ops 4 is set to release on October 12. We’ll have more on the upcoming game throughout the day, so stick with us.